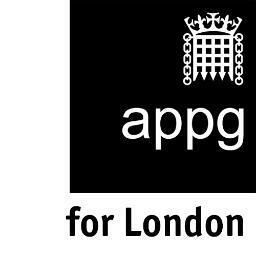 The APPG for London is a forum for MPs and Peers to work together on a cross-party basis to strengthen the capital's voice in Parliament. The group’s purpose is to promote the capital in the interests of all Londoners. London Councils provides the secretariat to the group on behalf of London government including the Mayor of London and the London Assembly. The group is listed on the APPG Register. APPG meetings are open to representatives of organisations interested in and affected by the issues being discussed. If you wish to attend, please contact the APPG secretariat team. HIV remains a major public health challenge in the capital. With London set to host Fast-Track Cities 2019 (the first international gathering of cities accelerating their responses to HIV) in September, this APPG for London meeting is a timely opportunity to consider the capital's HIV challenge and the policies needed to help end HIV altogether. The meeting will take place in the Wilson Room, Portcullis House, 3.30-4.30pm on Monday 29 April. This meeting focused on the implications of leaving the EU for businesses in the capital. Guest speakers from three key business sectors shared their perspectives. For the latest news follow the APPG on Twitter. The APPG responded to the Government’s civil society strategy consultation.